UAE-backed Yemeni forces led by Tariq Saleh, nephew of former Yemeni President Ali Abdullah Saleh, are making significant advances in western Yemen towards the Houthi-controlled city of Hodaydah. Reports indicate that Tareq’s well-equipped forces have begun their offensive of the lifeline port city through which the Houthi-held northern areas receive most of their international humanitarian assistance. These forces are largely composed of soldiers from the dissolved yet highly-trained Republican Guards forces, tribesmen loyal to Saleh, and newly recruited forces. The ongoing battle to control Hodaydah will not be a quick operation despite UAE-backed forces surpassing Houthi fighters in both training and equipment, theoretically enabling them to make quick advances toward the city. Yet, it is unlikely that the Houthis will easily give up a city this vital to their survival. The near-necessity of Houthi resistance will impede swift military action, likely resulting in a humanitarian catastrophe in such a populated city. The awareness of this situation has led the UAE to plead with the US for their direct support in seizing Hodaydah, yet the US recently warned against the operation fearing humanitarian consequences. Prior to the operation’s commencement, Martin Griffith, the newly appointed UN Special Envoy, was attempting to reach a deal that would avoid the humanitarian sufferings predicted in a bloody offensive on Hodaydah . Griffith’s May 31, 2018 trip to Sana’a, where he met with Houthi leaders was for this very purpose. The UN Envoy’s proposed deal reportedly includes the handing over of Hodaydah and its seaport to UN control. It is not clear yet how flexible the Houthis are to this idea, however, it is likely that the Houthis can be convinced to begin bargaining taking into account that the current conditions facing Hodaydah do not run in the Houthi’s favor, as well as the reality that any surrendering of this important western gate will further decrease the territory under Houthi control and block their supposed route of military supplies. Despite reservations of Houthi leaders, there are unconfirmed reports that the Houthis responded with some conditions in order for the UN Envoy’s plan to be accepted by them. 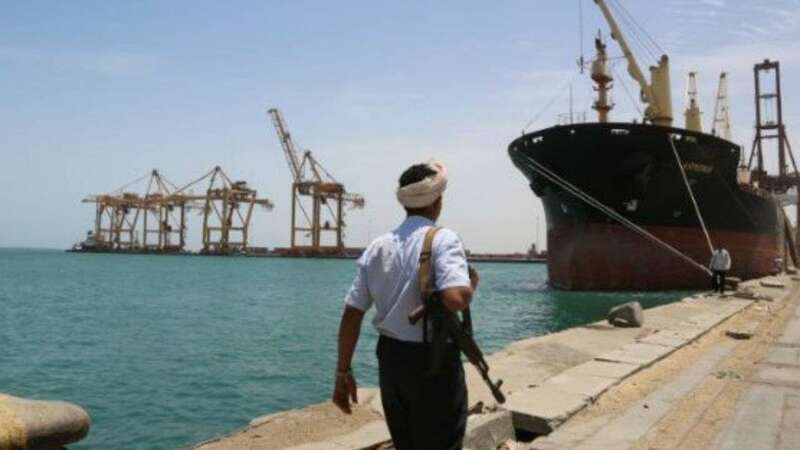 This unconfirmed offer includes, non-interruption of shipments arriving to the Houthis via Hodaydah Seaport, the suspension of Saudi-led Coalition strikes on Houthi-held areas that target their leaders, and a promise to hold another round of political dialogues among the parties seeking a political agreement to the wider conflict in Yemen. The current Hodeidah issue is militarily, politically and humanitarianly significant and may constitute a turning point in the years-long war in Yemen. If the UAE-backed forces’ operation to control the city meets a near-desperate Houthi resistance, the humanitarian situation could become catastrophic. Although the Houthis are expected to eventually be defeated which would be a major setback for the group, the importance of Hodaydah within the overall Houthi strategy means that a bloody battle for the city is all the more likely. While a commencement of the offensive makes the possibility of a UN-brokered deal seem even more distant, negotiations over the Hodaydah issue may pave the way for the resumption of political discussions among the warring parties, a welcome development for those hoping for any kind of compromise or agreement.